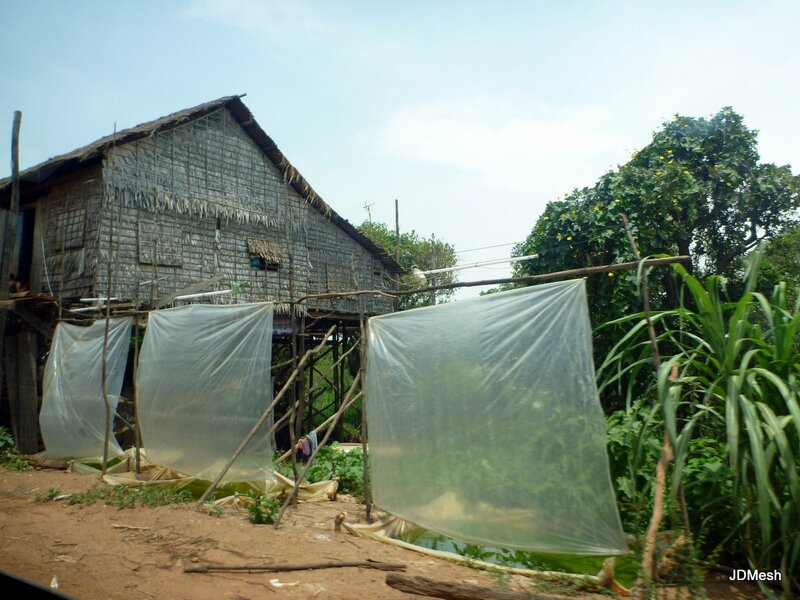 Despite its history, its poverty, and its inequality, we had a great three weeks in Cambodia - thanks in no small part to Glaser's visit and to the Blue Pumpkin. (But mostly to Glaser's visit. Although I do love the BP). The people were really friendly and the sights were magnificent; unfortunately (and possibly since we had just come the utter deliciousness that is Thai food), the Cambodian food didn't really do it for us. 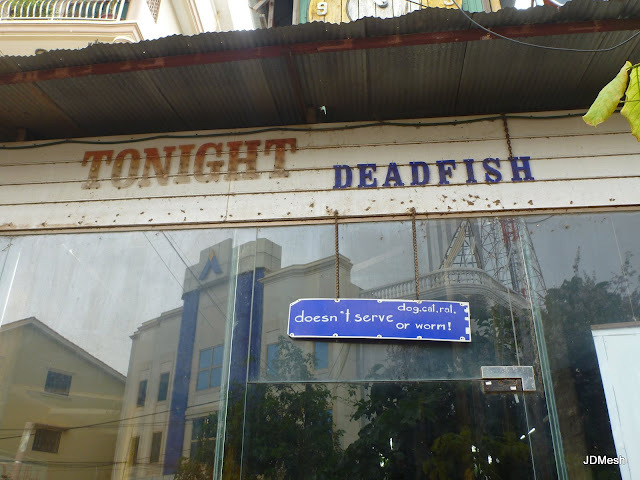 So instead of our usual food summary, here are some more Cambodia photos and memories worth sharing that didn't make it into any of the other posts. These screens are used to catch crickets. Which are then fried, and then eaten. So I guess this is a food post after all. 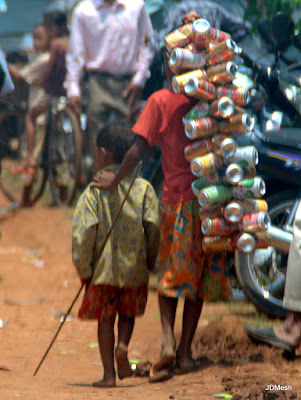 Here they're being sold by a bus vendor. 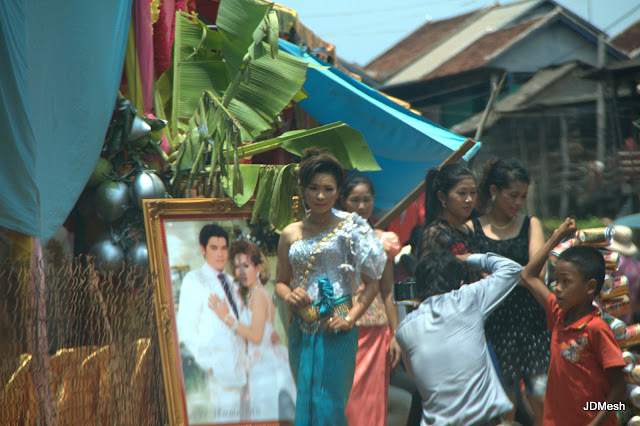 We managed to catch a wedding taking place. like posing beside a life-sized soft-focus photograph, for the Meltzer-Vonsover union. And yes, Dan, you'll be wearing a white suit. 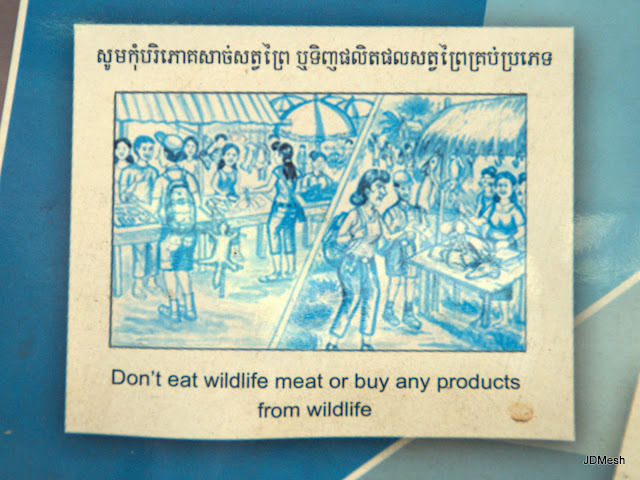 We went to a lot of markets, but we never did come across any wildlife selling products. sticky rice and black beans steamed inside a hollow bamboo stick. We enjoyed them in the car. 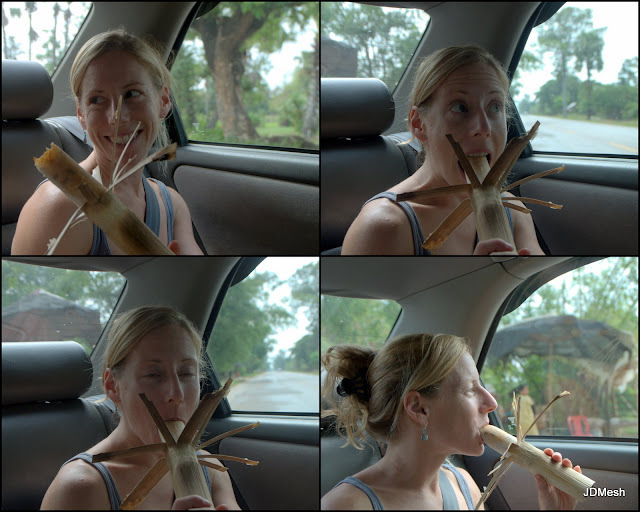 A crucial sightseeing coconut break. Gotta replenish those electrolytes. This restaurant looks so appetizing, I can't believe we never ate here. The beers are homophones, because they have the same pronunciation, but (slightly) different tastes. irrespective of their spelling - It's confusing. So, yes. This signage is awkwardly worded. But can you think of a better way to say it? We couldn't. All this kitten wanted to do was hang out on Dave's keyboard. Fish spa! Glaser was the only one brave enough. Howie Meltzer realizes his life-long dream of opening a way cool bar in Phnom Penh. 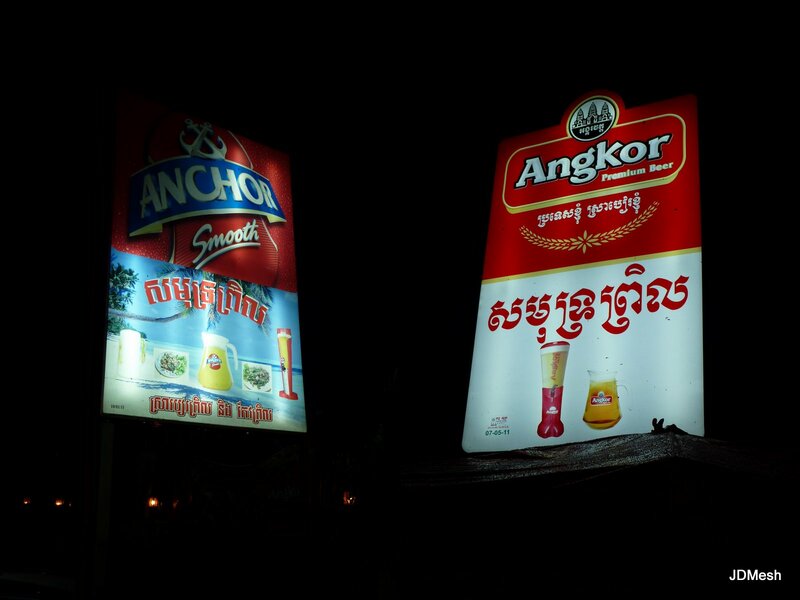 On Siem Reap's famous (but underwhelming) Pub Street. After our excursion to Rabbit Island, we decided that we must eat crab. Immediately. No time to go back to the hotel and change. A heartbreaking vignette. 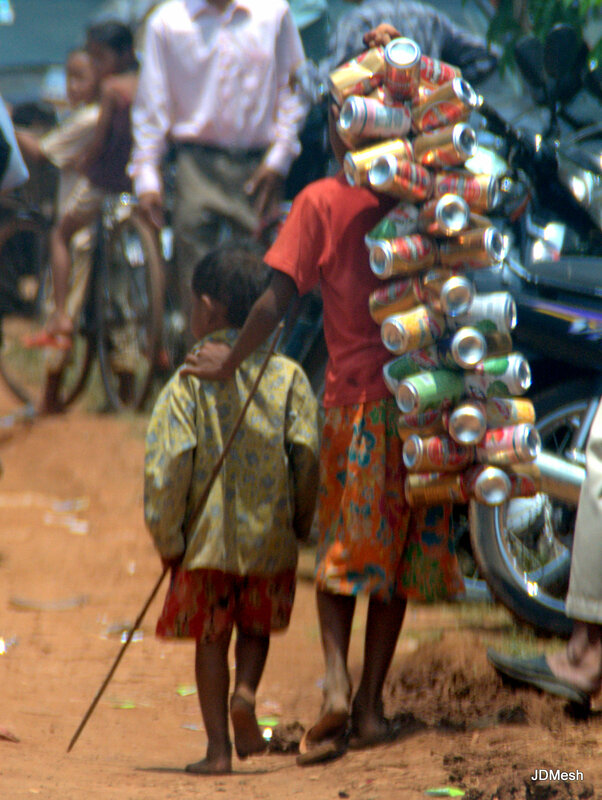 This little guy was collecting cans and bottles at Angkor Wat. Right after I took this photo, another little boy, the same age but nicely dressed and sitting at his parents' feet, began to throw a tantrum because he didn't want to share one of his toy trucks with his sister. Recycling boy walked over to tantrum boy and stared curiously at him, as if he couldn't understand what this kid was doing and why he could possibly be crying. Enjoying an Australian rosé (direct from Australia!!!) on our Kep porch.